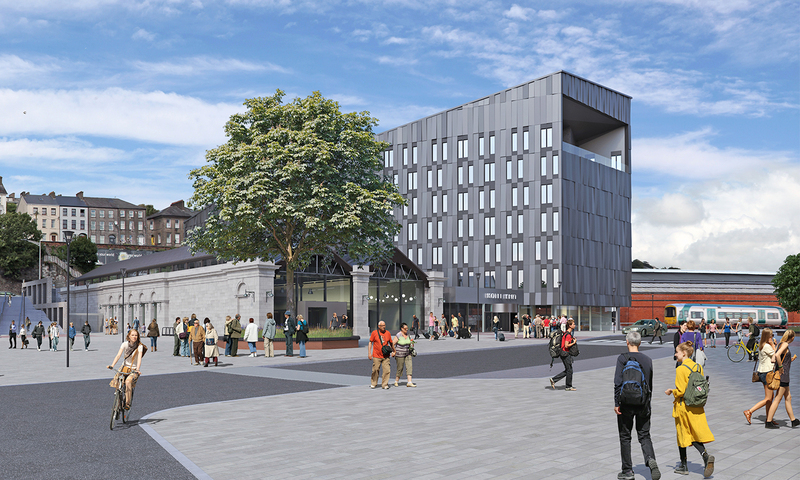 In July 2016, Clarendon Properties in partnership with BAM Ireland secured the development rights to the waterfront site at Horgan’s Quay in Cork City owned by the state transport company, CIE. The site falls under the Cork City development plan 2015-2021 and is expected to form the hub of the next stage of the city’s growth. The site has been zoned for a mix of office, residential and leisure developments. The signed contract will see the regeneration of a 6.1 acre site close to Kent railway station on the northern bank of the River Lee. The site is highly accessible from the M8 Dublin Road and is located close to Lapps Quay, The Clarion Hotel, Patrick Street and South Mall. The terms of the contract will see both Clarendon Properties and BAM Ireland obtain a 300 year ground lease from CIE in return for the higher of a set annual rent or 10 per cent of the market rents. The development will be a positive addition to the expanding needs of Cork city centre and its regional hinterland. The regeneration of this strategic area is timely and will be welcomed by the people of Cork. A prime location, the site is positioned close to a new station interchange and public transport roadway, currently under construction. This will provide a link to Cork City centre for the 2 million passengers using the station every year. Tony Leonard has termed the development “a superb, benchmark development that will showcase Cork”. Clarendon Properties also holds interests in other Cork developments such as the Queen’s Castle, the Savoy and Wilton Shopping Centre.